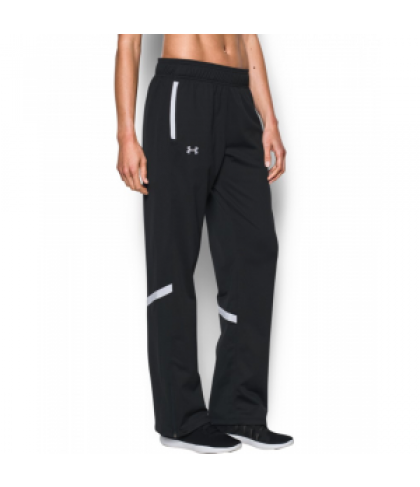 Under Armour Women's Qlifier Knit Warm-Up Pants Durable tricot fabric is smooth on the outside & has a soft, brushed interior to trap warmth. Ripstop woven fabric overlay is lightweight & extremely durable. Material wicks sweat & dries really fast. Mesh-lined pockets. Inseam: 32".